Mr. Justice Mudassir Khalid Abbasi in his judgment has decided the issue regarding three chances to appear in Punjab Public Service Commission examination for appointment through promotional quota in Writ Petition No. 58973 of 2017. 1. Through the instant constitutional petition, challenge has been thrown to regulations No.33 and 34 of the Punjab Public Service Commission Regulations, 2016 with reference to appointment through promotional quota for Sub-Inspector of Police Department amongst Head Constables and Assistant Sub-Inspectors. 2. Precisely the facts of the case are that the petitioners are serving as Assistant Sub Inspectors in the Police Department since 2009, 2010 and 2011. In the year 2013 an amendment was brought in Police Order 2002 whereby in terms of Section 7 Sub Clause 3(c)(a), 25% quota was reserved for Departmental Promotion through selection on merits for Sub Inspector by Punjab Public Service Commission amongst Head constables and Assistant Sub Inspectors holding Bechlor’s Degrees. Respondent department had been advertising the said posts of Sub Inspectors in Police to be filled up through competitive examination in promotional quota from time to time whereas the petitioners, earlier had participated thrice in the process. On 28.07.2017, respondent No.2 again advertised and invited applications for departmental promotion in all regions of Punjab. 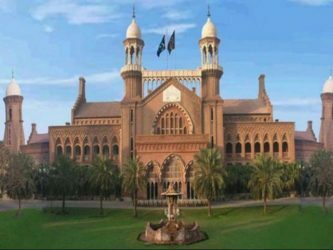 This time petitioners have also tried to participate in the process, however, it could not be materialized because they had already availed three chances and in terms of regulations 33 and 34 of Punjab Public Service Commission Regulations, 2016, a candidate could not avail more than three chances. Petitioners have sought a declaration to the effect that the afore-referred regulations are ultra vires to the fundamental rights enshrined in Constitution being illegal, unjust, unfair and against the principles of natural justice. 3. Learned counsel for the petitioners argued that Section 7 (3c)(a) of the Police Order 2002 has laid down the procedure for promotion through 25% quota amongst the serving Assistant Sub Inspectors/ constables and no such restriction with regard to the availing of number of chances is provided in the said clause. This, according to the counsel for the petitioners, clearly indicates the intention of the legislation that the employees could avail more than three chances. Further contends that promotion is a vested and fundamental right of an employee to avail the opportunities for promotion whereas, the respondents have imposed the said restriction which is against the mandate of rights envisaged in the Constitution. Moreover, Punjab Public Service Commission Regulations, 2016 do not prevail upon the Police Order 2002 which have been validly enacted by the legislation. Learned counsel for the petitioners also argued that Rule 3 of Punjab Public Service Commission Functions Rules 1978 empowers the Commission to regulate/conduct the appointments for BS-16 and above. Whereas, the examination, the subject matter of this petition relates to promotion from BS-11 to 14 as Sub Inspector. Finally that most of the Head Constables and ASIs have been deprived from the departmental promotion examination which itself is arbitrary and unreasonable. 4. On the other hand, in response to notice under Order 27-A of CPC to the Advocate General Punjab, learned Assistant Advocate General vehemently opposed the arguments of petitioners on the grounds that all the examinations are conducted by the Punjab Public Service Commission under the rules and regulations, which have validly been enacted. All the examinations are held in line with the said regulations. Contends that the petitioners have failed to point out that their fundamental rights have been infringed through the said legislation. Moreover, petitioners cannot claim their promotion as vested right and it has to be governed through some legislation. Furthermore; that the intention of the legislature was to give an opportunity to other employees who are working in the department. Finally, it has been prayed that the petition being not maintainable is liable to be dismissed. 1) As to whether the said regulations have been enacted at the strength of some statutory backing. 2) As to whether Article 7(3c)(a) of Police Order, 2002 is in conflict with the regulations having overriding effect. 3) As to whether the restriction of availing of more than three chances is violative of fundamentals rights of the petitioners envisaged in the Constitution at the touch stone of principles laid down by the superior courts for the purposes of declaring any law as ultra vires. 4) Whether the petitioners could claim their promotion as a vested right through promotional quota. 33. All candidates appearing in “Written Examination” to be held by the Commission shall be allowed to avail three chances only for each particular Written Examination irrespective of the type or categories of posts grouped in that Examination, unless otherwise prescribed by the Government. 34. For all other posts to be filled through written test followed by interview, or interview alone for which no formal Written Test has been prescribed, the number of chances shall also be restricted to three with the exception for the post of Lecturers in Education Department a candidate who is applicant for more than one subject, he/she shall have three chances in each subject for which he/she is a candidate. Further information regarding three chances to appear in Punjab Public Service Commission examination for appointment through promotional quota can be solicited from AUJ LAWYERS. Feel free to contact us in case you need any clarification and/or require legal assistance regarding similar matters. This entry was posted in Appointment through promotion, Approbate and Reprobate, Case Laws, Civil Law, Constitutional Law, Employment & Incentives, Judicial Review, Knowledge - Civil Law, Knowledge - Constitutional Law, Lahore High Court, Litigation & Arbitration, Policy Decision, Principle of Harmonization, Principle of Reading In, Promotional quota, Public & Admin Law, Solutions - Civil Law, Solutions - Constitutional Law, Ultra Vires, Vested Right. Bookmark the permalink.